I love just about everything about the Nintendo 3DS, and this comes from a late adopter who all but thought the device was a horrible misstep for Nintendo in the beginning. However, despite Nintendo addressing most of the issues over the last two years, a major one still holds it back from being one of the greatest portable gaming devices of all time: Region locking. Nintendo has confirmed that the New Nintendo 3DS model, announced earlier this month for Japan, will continue to be region locked. As reported by IGN, a Nintendo representative claimed that "the situation will be exactly the same as for the current family of Nintendo 3DS systems." The New Nintendo 3DS will be just as import unfriendly as the original, and you still won't have a simple way to play your favorite Japanese games that could forever go unlocalized. Granted, Nintendo has done a fairly decent job making sure many of the biggest Japanese games make it stateside in an effort to balance this situation, but a few major titles have fallen through the cracks. Not to worry though. Once the New Nintendo 3DS hits Japanese shelves this Oct. 11, the original Nintendo 3DS will skydive in price on the secondhand market, as is always the case in Japan. Import one cheaply, and you'll finally be able to play those wonderful games you've missed out on over the years. 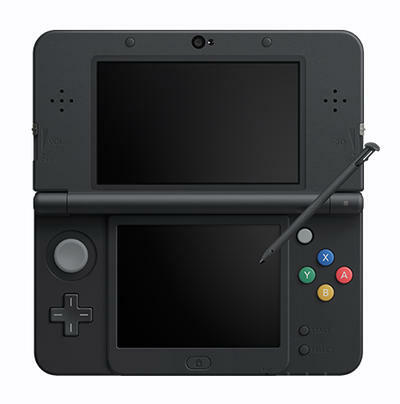 Alas, the exclusive games to the New Nintendo 3DS will not be available if you import an older Nintendo 3DS model. Those will be the new holy grails of the import market. We can never have it all, guys. Nintendo is a constant reminder of that.